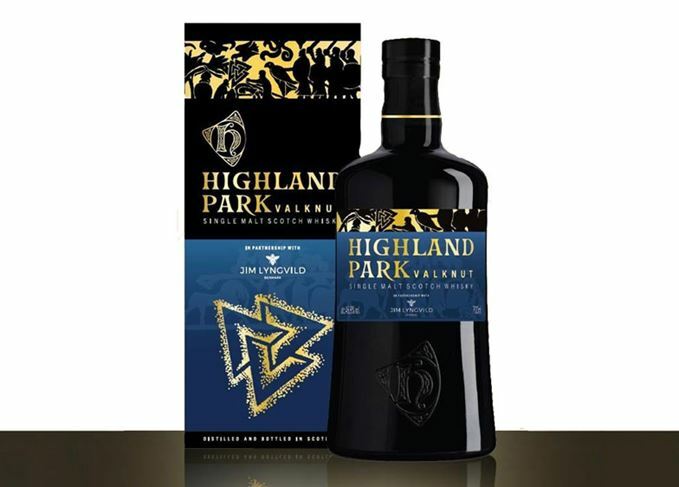 Highland Park has released the second expression in its limited edition Viking Series, Highland Park Valknut. Made using a ‘small amount’ of Orkney-grown Tartan barley, the edition has been matured in American oak ex-Sherry casks and bottled at 46.8% abv. The expression, which is available globally for around £58, is described as having a ‘slightly higher phenolic level’ than the first Viking Legends expression, Highland Park Valkyrie. Danish designer Jim Lyngvild, who has worked across the Viking Legend series with Highland Park master blender Gordon Motion, was inspired by the mythological Valknut symbol associated with fallen warriors. The Valknut symbol of three interlinked triangles was used in Norse mythology to represent honourable warriors killed in battle, and appears on the first of the four Stora Hammars stones and the picture stone at Tängelgårda in Gotland, Sweden, both significant Nordic monuments. Norse god Odin would send his female servants, the Valkyries, to accompany the fallen warriors’ spirits to Valhalla to join his army in preparation for Ragnarok, the battle for the end of the world. The third expression in the Highland Park Viking Legend series will be Valfather, which is due for release in 2019. The momentum of progress embodies the story of human evolution, but is it a one-way street?